Malaria, a life-threatening disease transmitted by mosquitos, is one of these illnesses. Less than a century ago, families everywhere – including across North America and Europe – lived in fear of a mosquito bite. Malaria not only took the lives of children and adults; it perpetuated poverty and limited global economic growth, preventing millions from reaching their full potential. Today, more than 30 countries have eliminated the malaria parasite, and at least ten more are on track to do so by 2020. Despite this, malaria remains a leading cause of death for children under five in Sub-Saharan Africa, taking the life of a child every two minutes. Malaria is also expensive, costing Africa’s economy some $12 billion per year. Despite many decades of intense research and development efforts, with more than 20 possible vaccines currently being evaluated, there is still no commercially available inoculation against malaria. However, there are a number of preventive measures that can contribute to reducing the risk of infection. These include using insecticide-treated bed nets, spraying indoor walls with insecticides, and focusing prophylactic measures on the most vulnerable groups. Today, we have a window of opportunity to build on what has already been accomplished, by highlighting and supporting initiatives and research efforts that could eradicate malaria. For example, researchers at the Johns Hopkins Bloomberg School of Public Health’s Malaria Research Institute have discovered how resistance to the malaria parasite can spread in a mosquito population. The findings could pave the way for the development of self-propagating malaria-control strategies, mitigating the need for continuous application of insecticides and reliance on bed nets. 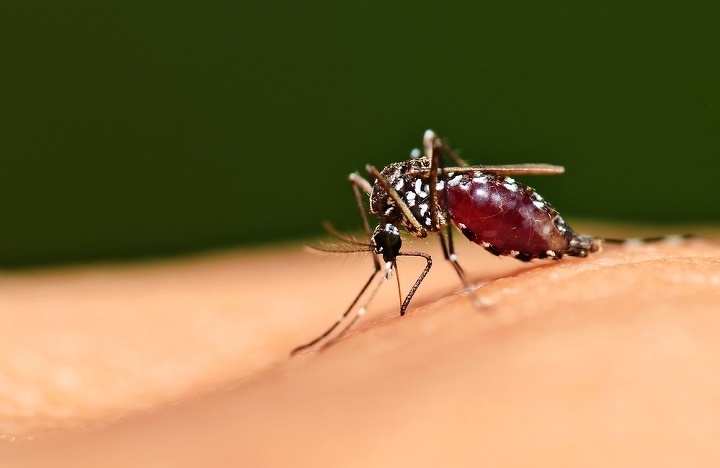 Another important initiative that deserves support is the World Health Organization’s “vector control” guidelines, which offer strategies for controlling the mosquitos, flies, and bugs that transmit disease. The WHO’s plan provides a new strategy to strengthen vector control worldwide through increased capacity, improved surveillance, better coordination, and integrated action across sectors and diseases. Global health efforts should support efforts by countries where malaria is endemic to develop and improve vector-control strategies. We also need to consider how changing global environments are affecting the occurrence of malaria. For example, because deforestation creates favorable conditions for mosquitos by producing ditches and puddles, which are more likely to pool less acidic water that is conducive to mosquito larvae development, countries with elevated forest loss tend to have higher rates of malaria. Deforestation also leads to reduced absorption of rainfall, which increases the volume of standing water. In the United Arab Emirates, we believe that eliminating disease is central to global development. If people are given the opportunity to lead healthy lives, they can get an education, contribute to the economy, and look after their families, generating a multiplier effect that further boosts prosperity and development. We also believe in adopting a holistic approach, one that includes securing financial commitments, promoting research and innovation through infrastructure development, and regularly convening global champions to maintain momentum and share ideas. For disease eradication, partnership is essential. That is why Sheikh Mohammed bin Zayed, the Abu Dhabi Crown Prince, has contributed $30 million to the Roll Back Malaria partnership, the preeminent global framework for action against malaria. I am proud to sit on the board of Roll Back Malaria, because I believe that diversity of leadership perspectives is vital to finding solutions to combat the disease, particularly as we begin a bold new chapter in the quest to eliminate it. The landscape of leaders supporting global health is expanding, and now represents populations around the world. This is important, because partnerships like Roll Back Malaria must work globally to save the greatest possible number of lives. We hope to encourage further global collaboration this week, as Abu Dhabi convenes more than 200 leaders in disease eradication at a forum called Reaching the Last Mile. This meeting aims to share insights and best practices on how to map, control, or eliminate preventable diseases, including innovations that could ultimately bring an end to malaria globally. In the twentieth century, we managed to eradicate a disease, smallpox, for the first time in history. Complete eradication, elimination, or control of disease is complex, and that is particularly true of malaria. A few years ago, we thought that elimination of malaria was beyond our reach, but together the world has made tremendous progress. Between 2000 and 2015, public-health interventions saved the lives of 6.2 million people, 5.9 million of whom were children under the age of five. By 2020, an estimated $6.4 billion will be needed each year to fund the global fight to eliminate malaria. This will be a difficult feat, but together we can create a future without the disease – a brighter and more stable future for millions of vulnerable people, with more opportunities for generations to come.